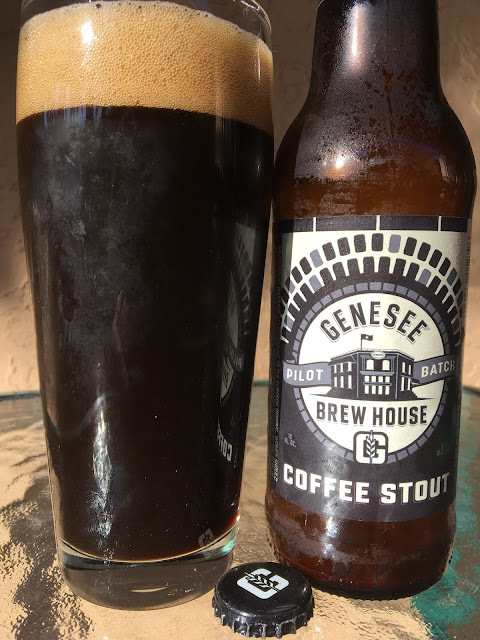 Today I'm checking out Genesee Brew House Coffee Stout, and English-style stout with a huge dose of roasted coffee flavors. This is the newest beer in their Pilot Batch series. 5.1% alcohol. Wow! What a great aroma full of rich, dark chocolate, caramel and roasted coffee. Coffee and roasted flavors really stand out and shine from the start, totally delivering on the beer's name. Delicious! Cocoa, chocolate, hints of pruney dark fruits. Nuances of smoke and char are also present! Check it out!